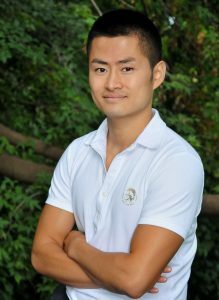 Charles graduated from one of the leading massage schools in the country, Sutherland-Chan School & Teaching Clinic in Toronto. He has over 10 years of clinical experience helping patients who face a variety of health challenges, including chronic pain, sports injuries, spinal cord injuries, cancer patients, rehabilitation, anxiety, stress and more..
Charles’ massage therapy focuses on deep tissue work with myofascial release and muscle energy work, which treats various dysfunctions caused by muscle imbalance. He also challenges clients to explore self-care and hydrotherapy, and to become more aware of how they take better care of their bodies on a daily basis. Charles is currently studying Traditional Chinese Medicine at Acupuncture & Integrative Medicine Academy, and want to become an registered acupuncturist to help you achieve your health goal in the near future. Deep Tissue Massage, Hot Stone Massage, Relaxation Massage, Lymphatic Drainage, Sports Massage, Waxing Hair Removal.